Dr. Coley is a frequent presenter at ACSI teachers’ conferences. On October 20th & 21st, he presented three workshops based on current findings in mind, brain, and education research. 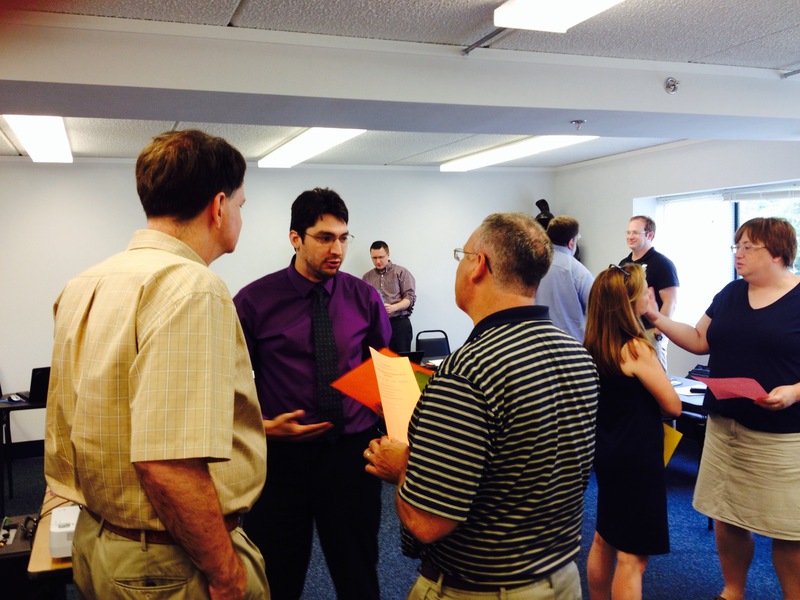 Comments following sessions at ACSI NC Forum held in Winston-Salem, N.C. I enjoyed the comfortable, interactive nature of both seminars, and I came away with some ideas and strategies that I will use in my classroom. I also felt affirmed by Dr. Coley’s responses when I shared some methods I already use. I recently attended two of Dr. Coley’s workshops on active learning and metacognition, and I found both to be engaging, insightful, and practical. What I appreciated most was the way he effectively modeled, through the guided, interactive workshop activities, the very practices he was advocating. I always look forward to attending Dr. Coley’s sessions on engaging students in learning. He offers great practical ideas I can use in the classroom immediately while building a foundation in reaching students effectively and empowering them to take ownership of their own learning. I’m looking forward to using these new ideas to make a positive impact in my classroom on Monday. Today’s church faces the unique challenge of ministering to, and discipling, multiple generations at the same time. It is not uncommon to have as many as six generations represented in Sunday morning worship. Dr. Coley did a masterful job of explaining how to connect these age groups through creative and active teaching. Ken has the ability to encourage the seasoned veteran while also connecting with those new to teaching. Ken Coley is a gifted communicator and a regular contributor to our state-wide events. Dr. Coley presented at a Administrator/Board Conference in Kansas City, Mo, on September 17, 2016.He is pictured here with Dr. Larry Daughtery of Renewanation and John Craig, Director of Accreditation for ACSI South-Central region. Thanks so much for your participation in our conference! Our attendees had many wonderful things to say about your keynote and breakout sessions. I appreciate your time and devotion in helping our conference provide critical insights for our teachers, administrators and support staff. It’s great to know that God is continually using us for His work in the area of Christian Education. Dr. Coley spoke at the SE Conclave Youth Ministers Conference in Chattanooga on January 27. Here he is pictured with fellow seminary professors who were also speakers: Dr. Richard Ross from Southwestern Seminary and Dr. Allen Jackson from New Orleans Seminary. included in one of Dr. Coley’s Conclave sessions. Dr. Coley led board training for Cambridge Christian School in Tampa, Florida in early January. Pictured is a subset of the board discussing one of the team building topics during the six hour event. Dr. Coley is pictured with administrators and the board chair from Cambridge Christian School. Tim Euler, head of school at Cambridge, is far right. 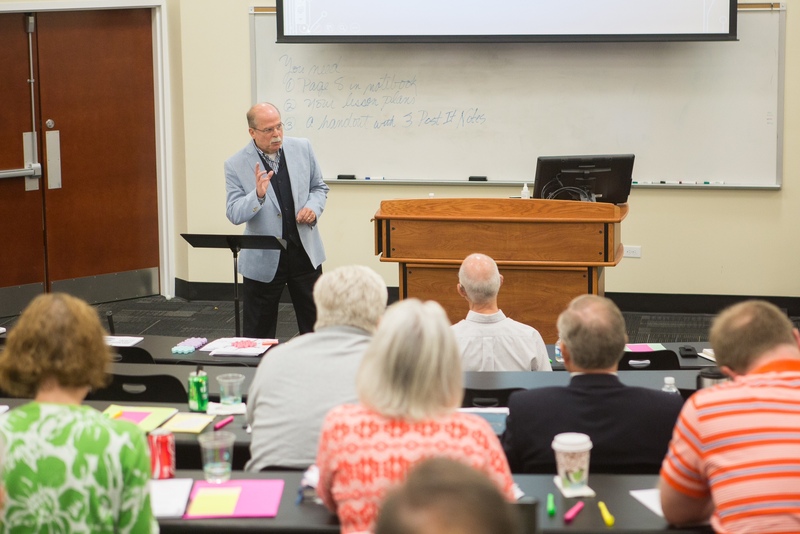 Dr. Coley conducted Faculty Workshops at Southeastern Seminary and Northeastern Baptist College as both institutions prepare for their fall semester. Have heard nothing but great feedback all day long from all of the profs today. Better yet, they are still thinking and discussing their intended pedagogy with one another. So many of the faculty were impacted and touched by your passion and enthusiasm for teaching and learning. Bullseye! Words cannot express my gratitude. Thank you again. It was a pleasure having you here. You should know that the school is still buzzing with ideas and discussion from your seminar! Several of us have revisited our syllabi to incorporate what we learned. Faculty workshop at Southeastern Seminary: presenting on Active Learning and Engaging your learners. I was reviewing my notes from today’s session and wanted to drop you a quick note to say thank you for your presentation today. It was superb. Clear, concise, engaging, passionate, and impactful going into a new semester. You had obviously spent MUCH time in preparation for the session. I look forward to working with you in the coming days.